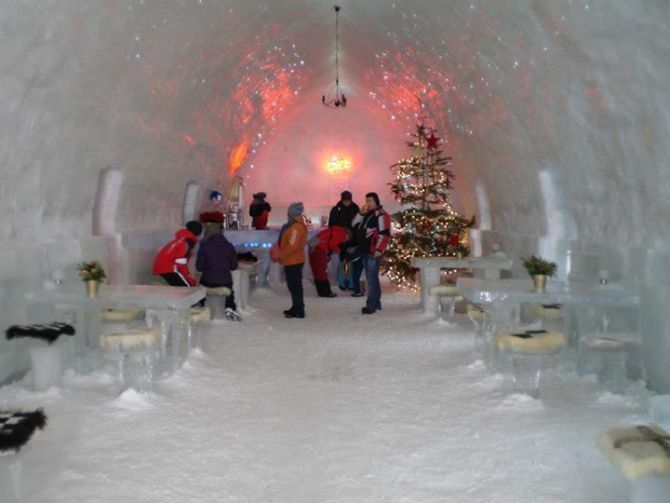 A few tourism agencies in Britain have already booked rooms for this winter in Romania’s only ice hotel, which should be ready on Christmas. The hotel is located at over 2,000 meters in the Fagarasi Mountains, close to the Balea Lake. 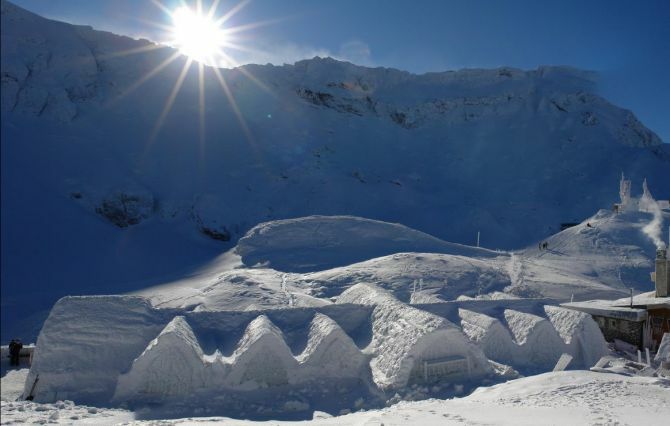 “We already have bookings for December 31 and for February 18 next year, most of them from tourism agencies in England,” said Vasilica Popa, one of the representatives of the Balea Hotel of Ice, quoted by Agerpres. 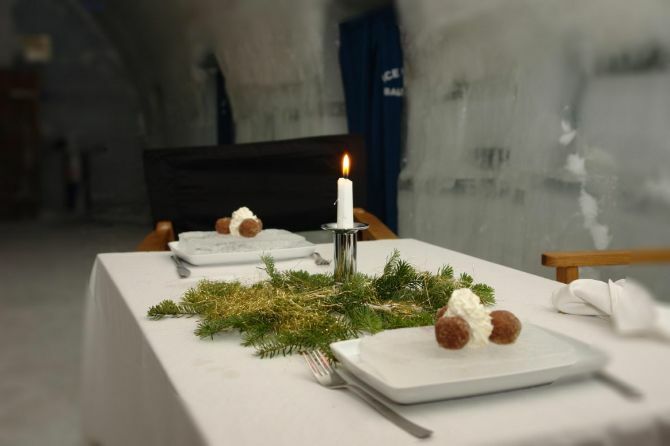 She said that prices haven’t yet been set, but that it’s possible they will be increased compared to last year, when the fee for a double room was about EUR 90 per night, while the igloo was EUR 135 per night. 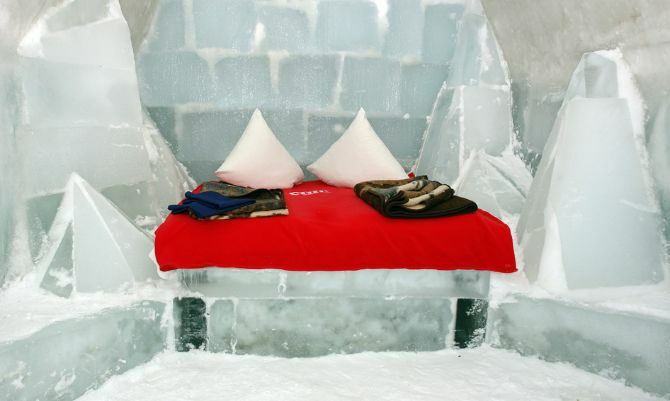 The hotel will have 12 rooms this year and three igloos, for those who are looking for more privacy. 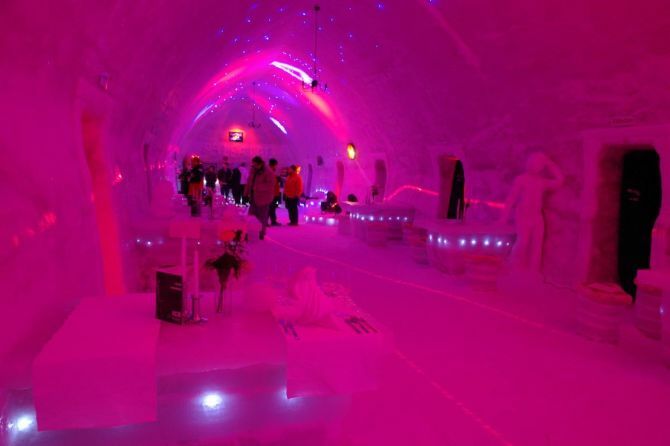 Last season, the Hotel of Ice was opened since Christmas 2013 until the beginning of April, 2014, and received about 1,000 tourists. More than 70% of these were foreigners, especially British, but also Chinese, French, Spanish, Brazilians and Hungarians. A few thousand tourists also visited the hotel just to take pictures. Among them was actor Jean-Claude van Damme, who came to the hotel to shoot a commercial. The hotel is accessible by cable car and the fee for a round trip is about EUR 11 (RON 50).